Are you a true Visionary who is “stuck”, your story seems invisible? Wake up your story and be seen! 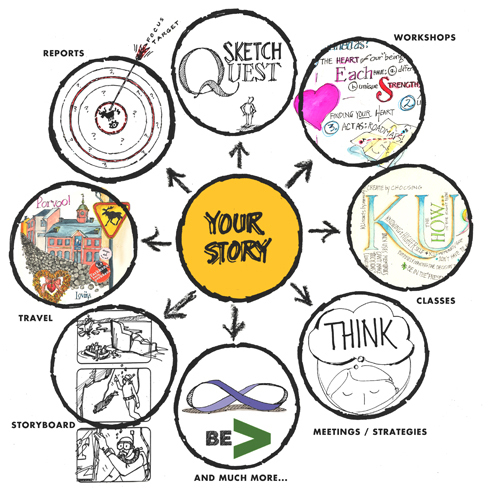 Communicate your truths clearly and quickly with quick sketch illustration. Move forward, lead and communicate from the heart of your vision and unique “being” using the power of pictures. I’m Paula Brown, a “Heartist”; I get leaders unstuck. I am an intuitive quick sketch Artist and Purpose Coach. I wake up stuck visionary leaders by illustrating their story. They see and communicate their truths clearly and quickly, then move forward, their hearts ignited to lead from the blueprint of their soul. Chi-Lightful offers a variety of value generating “Vision Quests”; discovery and illustrative journeys that give you stepping stones to move forward. Please call for more info as well as fees. The Why Quest: A short “yes / no” intuitive Q&A 40-minute session based on your need for next step quick info and guidance. The Purpose Quest: Dive deep into finding your soul blueprint that will be the foundation for waking up your true story. Ignite your heart to lead from your essence, gift, mission. Both offerings of coaching quests generate powerful leadership foundational values…one 2-month package and one 6-month package. The Guidance Quest: Fulfills valuable “checking in” accountability for any type of business or personal schedule or process responsibility. The Brand Quest: I offer brand review or evolution sessions which are supported by over 25 years of Brand Creative Director for business: corporate and individual brands. Lead authentically, and move forward ignited by your heart purpose. Chi-Lightful purpose coaching comes in custom “one-of-a kind” discovery sessions that unite the strategy of “mind” with unique emotional essence of “heart” purpose. Find and share your story in clear, incredibly quick, and focused, universal language of pictures. Pictures show, tell, and break down, the barriers that keep you and your ideas invisible; “stuck”. • “Cuts the fat” from start to finish for process, production, and learning. 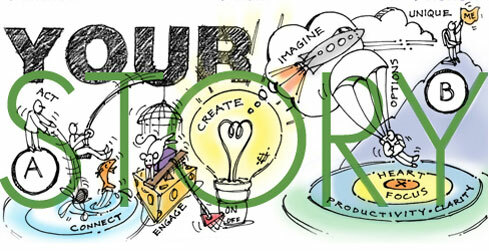 Where can you profit by picturing your story? Give me a call with your AHA moments!